Ichimaru (市丸) , real name Goto Matsue (後藤まつゑ), was a famous geisha and singer of the showa period in Japan. 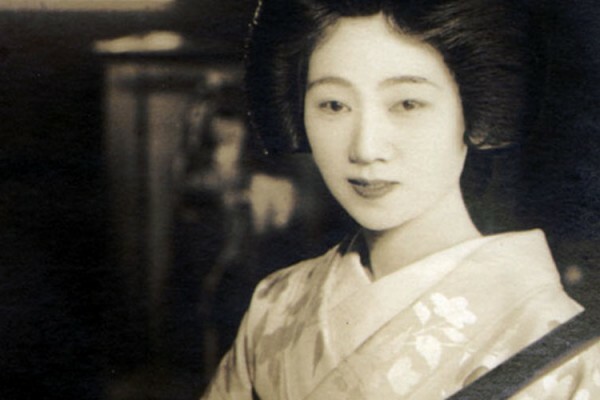 Ichimaru was born in Matsumoto, Nagano Prefecture in 1906, and she began working as a trainee geisha at an Asama onsen in Matsumoto when she was 16 years old. After that she went to Asakusa, Tokyo to learn about geisha art including geisha songs and dances, and She was given the name Edokouta Ichimaru (江戸小歌市丸) by Nakamura-ya there in 1926. Ichimaru gained popularity as a geisha because of her beautiful face and voice. Early in her career, she not only received recognition from her fellow geisha world, but also from the emerging recording industry. Young Ichimaru playing shamisen, b&w photograph. Photo courtesy: Art Gallery of Greater Victoria. In the 1930s, records were gaining popularity in Japan and companies were picking out new talented singers. It was no wonder that Ichimaru got lots of scouts from recording companies, but eventually The Victor Recording Company acquired her and she debuted with first record named “Hanayome Tokyo (花嫁東京) in 1931. Right after she released “Chakkiri Bushi” from the Victor, which made Ichimaru even more popular in Japan. At the time, there was one more famous geisha named Katsutaro in the Victor Recording Company, and Ichimaru shared equal popularity with Katsutaro. They plainly showed their competitive spirit each other, and it caused trouble sometimes. 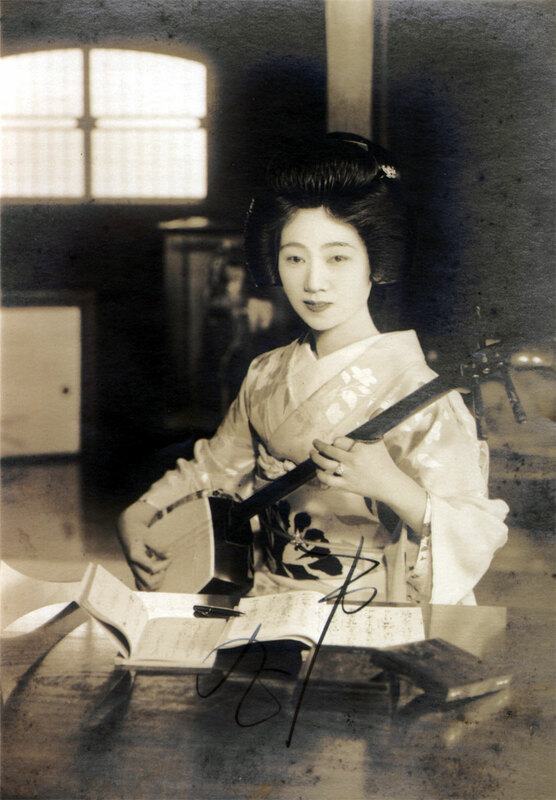 In 1933, after she got high status as a singer, Ichimaru left geishahood to become a full-time recording artist, but she still continued to perform in geisha regalia. After that she had still been keeping popularity including her song and guest of national television in Japan. In 1980, Ichimaru got a special award of the 22th Japanese Record Award, and the following year, she received the Fourth Order of Merit. These are an honorable award in Japan. In 1997, Ichimaru died at 91 years old as an important figure who brought traditional folk music to modern Japan. “If I don’t try something new, performance is going to go moldy,” Ichimaru said. From geisha to recording artist and folk singer, she changed her stage as the times changed.